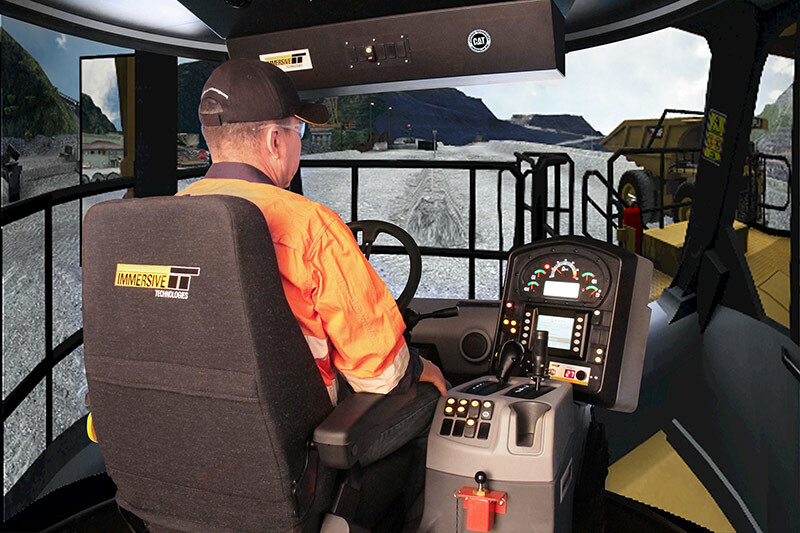 Immersive Technologies, the world leader in mining equipment simulators and operator training solutions, is celebrating their most successful year in the company’s nearly 20 year history with projections for another banner year in 2013. Revenue growth of 30.3% in 2012, follows accelerated investment in research, product development, technical support, professional services and global locations. 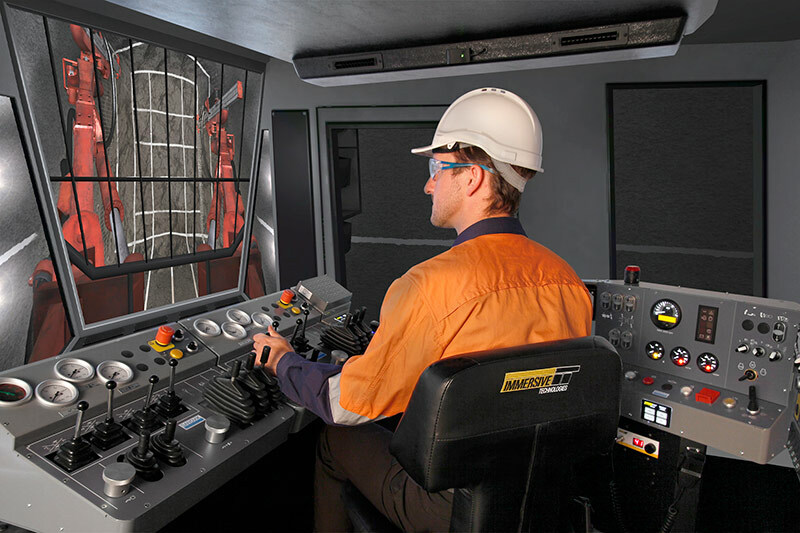 The global mining footprint of deployed Advanced Equipment Simulators has now reached over 310 utilizing over 710 simulator training modules with approximately 200 global mining customers. Immersive Technologies CEO, Peter Salfinger, says, “We are proud that our accelerated levels of investment in the mining industry and our sole focus on mining, has translated into record levels of revenue in 2012. We see this as a vote of confidence from the global mining industry, that we are demonstrating strong results in making equipment operators safer and their employers more profitable. 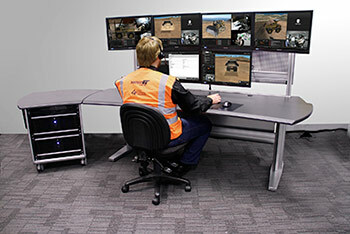 This year marked the launch of Immersive Technologies’ Complete and Scalable Solution, which offers mining operations a training model to ensure the highest levels of staff readiness and operational improvement, while taking advantage of a range of technologies to ensure cost effectiveness and throughput. This is done via blending eLearning, Instructor Led Training, Medium and High Fidelity Simulators, with customized content and curriculum to meet the needs of specific operations. Furthermore this is supported by a suite of tool and professional services exclusive to Immersive Technologies. Tools include: SimCloud™, an online tool providing complete visibility over local or global simulation training activities; Global Operator Benchmarking, allowing benchmarking of equipment operators against global norms; and Trainer Productivity Station enabling mining operations to do more with the experienced trainers they already have. Development and enhancement of professional services also reached new levels in 2012 as more training consultants, technical support technicians and engineers have been hired and further investment made in delivering on the high demand for Continuous Improvement Projects, Training Systems Integrations, Custom Mine Sites and TrainerAdvantage™, our trainer accreditation program with over 1200 certified trainers worldwide. The company released a number of highly anticipated simulator training modules known as Conversion Kits® including the Atlas Copco MT6020 Underground Truck Conversion Kit, Sandvik DD420 Underground Jumbo Drill Conversion Kit, Hitachi 5600-6 Shovel/Excavator Conversion Kit, Caterpillar 795F AC Truck Conversion Kit and Liebherr T282C Truck Conversion Kit, Additionally, two major SimControl software upgrades were released to customers featuring numerous improvements. SimControl is the software at the heart of Immersive Technologies Advanced Equipment Simulators. Major software enhancements included graphics upgrades, automated trainee assessment features, targeted training features, electric cable management training, digging realism, extended operator error detection, 3D training session playback, extended reporting features, extended trainee real time feedback and environmental protection training features. To house growing research and development activities, the Immersive Technologies headquarters in Perth, Australia was relocated to a large new facility (see photo below). Staff numbers have increased in order to keep pace with development plans and growing sales volumes. The new global headquarters features a demonstration facility allowing visitors to experience firsthand the complete and scalable solution for operator development. The company has relocated to larger facilities in other global locations including Indonesia and Chile and opened new offices in Mexico and Peru. “Our global presence is key to providing the absolute best service and support to our mining customers. A recent customer survey indicated we continue to exceed expectations in customer support, however we maintain a keen focus on ways to ensure customers continue to receive ever improving levels of service and the maximum return on investment. Immersive Technologies will enter 2013 in the strongest state it has ever been in relation to its products, capabilities customer base and financial performance. This is an exciting time for Immersive Technologies as we continue to build momentum on strong support from the global mining industry and major equipment manufacturers” Salfinger said. Trainer Productivity Station: centralized workstation that can connect up to five Advanced Equipment Simulators allowing a single trainer to manage up to five simulation training sessions simultaneously.